Posted in News. Tagged BCNS, Books, Books for sale, Canal books, Stan Holland, Stanley Holland. Posted in News, Rallies. Tagged BCN, BCN Society, BCNS, Birmingham Canal Navigations, bonfire rally, Canal Festival. Posted in News. 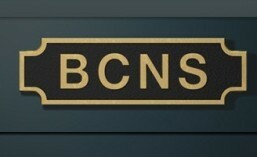 Tagged BCN Society, BCNS, Bob Broomhall, Obituary.